The spring weather in New Mexico has been more like fall into winter, derailing a lot of our weekend backpacking agendas. Every weekend, we've had grandiose plans to head into the mountains at higher elevations for J's Denali training. But, when it is snowing and accumulating at 8,000 feet where we live, we know better than to even try. 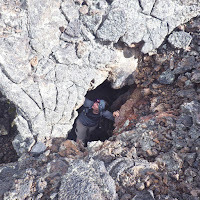 As such, we have been looking for lower lying areas to explore. 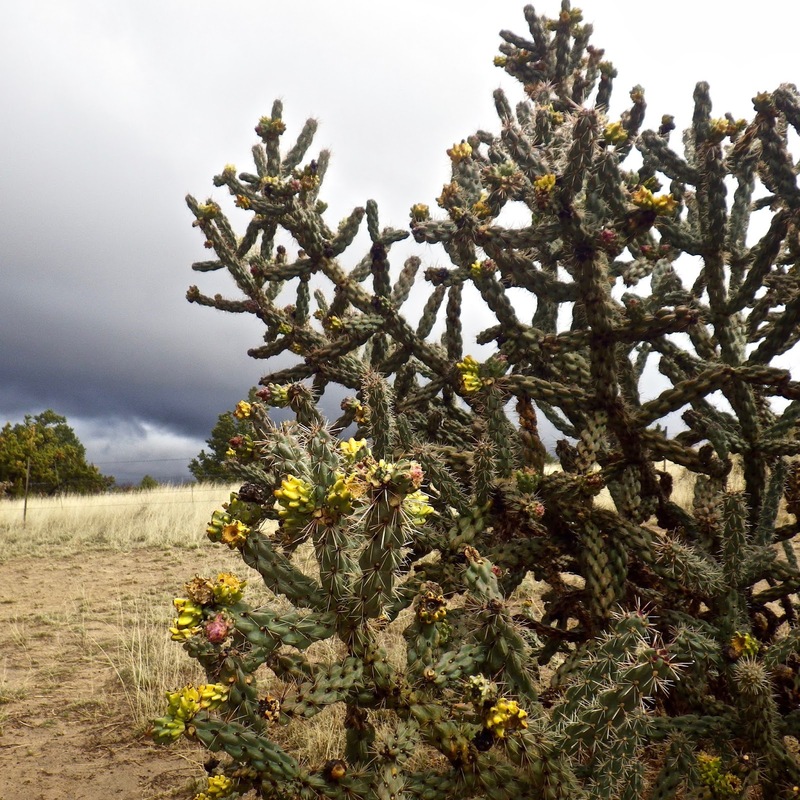 Thankfully, we keep finding endless opportunities, as New Mexico has 13 National Park/Monument/Conservation Areas! Who knew??? 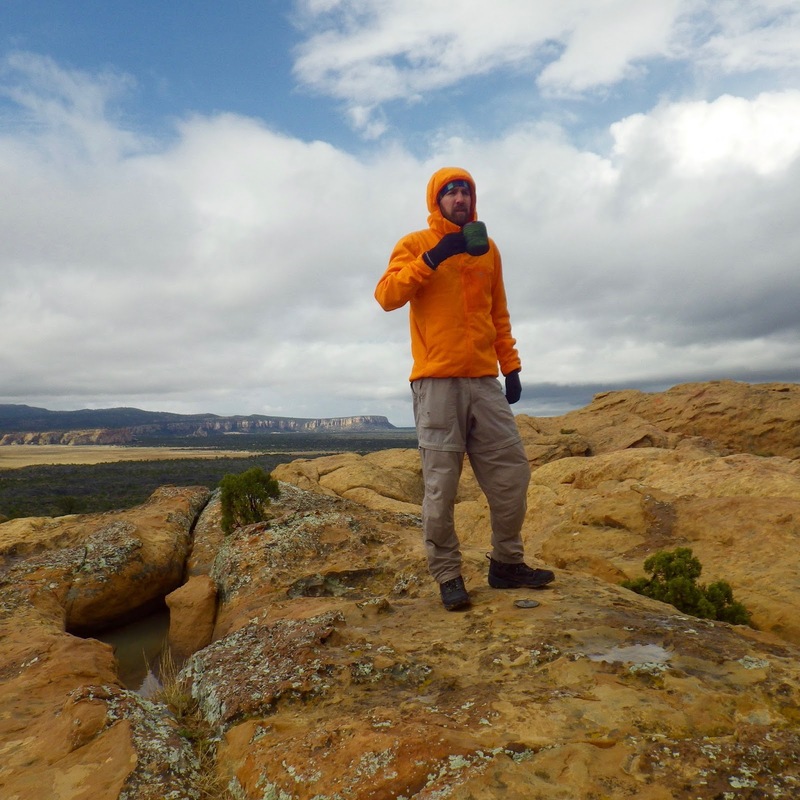 This past weekend, we hit El Malpais National Monument/Conservation Area, west of Albuquerque. I am going to start calling New Mexico the land of volcanoes. Everywhere we turn, there are leftover calderas, mountains, and hot springs resulting from the area's volcanoes. El Malpais is no different. 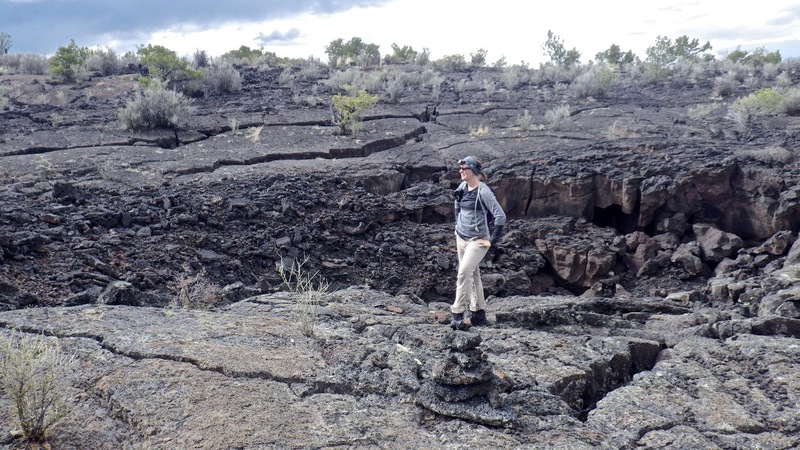 Cinder cones, lava tubes and deep fissures are a result of the fiery molten flow that once blanketed the area. El Malpais one of the youngest flows in the state, the most recent being only 3,000 years ago. We camped at the Joe Skeen Bureau of Land Management Primitive Campground (cost=$0!) and day hiked around the east side of the park. 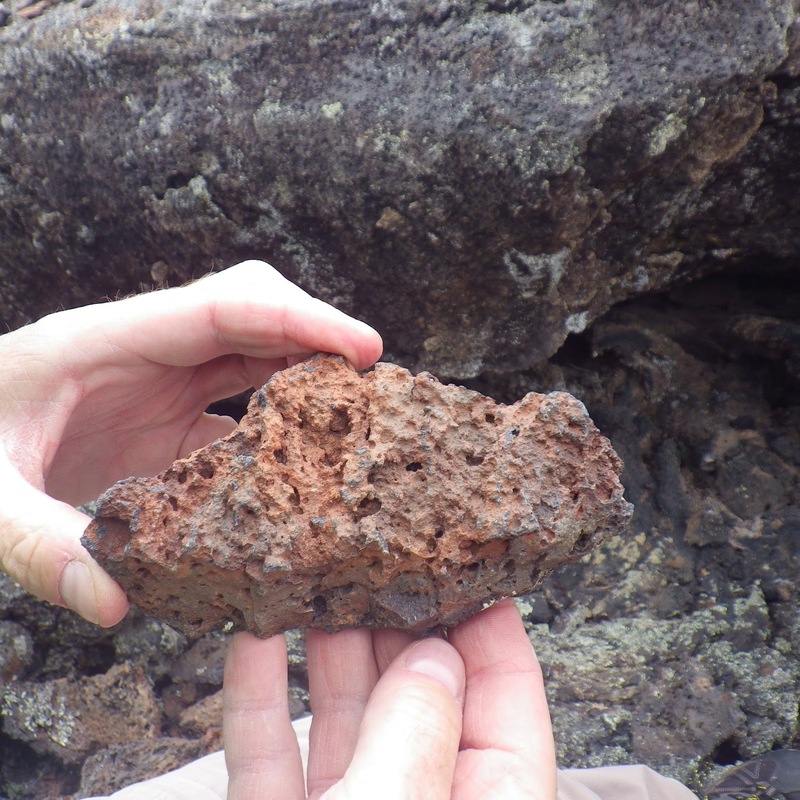 Sometimes hiking on hardened lava can be unforgiving, and we found several types: smooth & ropy, sharp & jagged and unstable & crumbly. 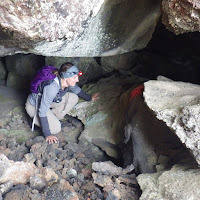 Sometimes you have to get down and dirty to really get a closer look, but caving is a nice change of pace. Besides all the lava, there are also a lot of sandstone bluffs and isolated formations, including the 165-foot long "La Ventana" (the window) arch. 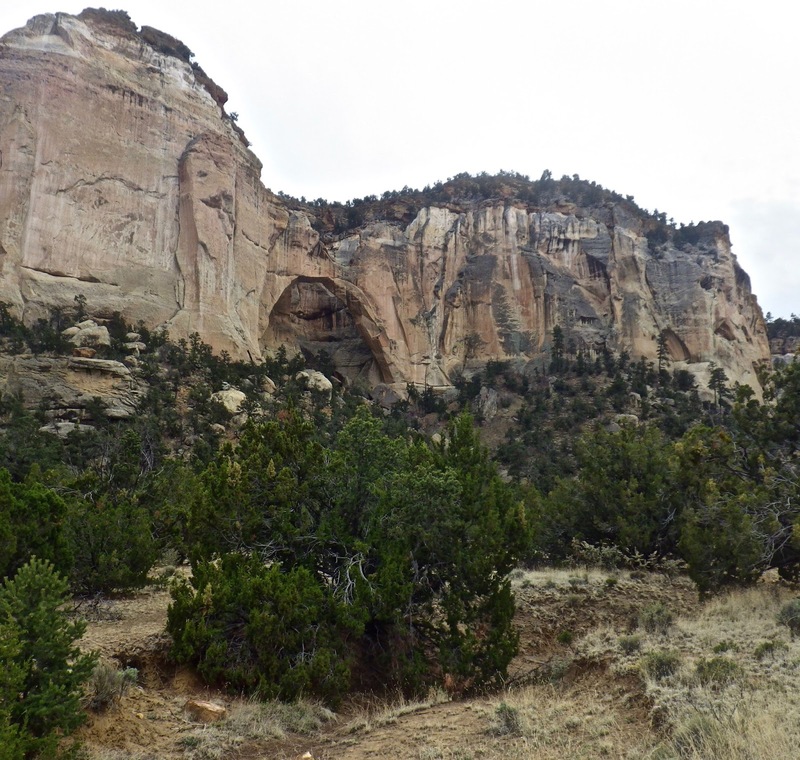 This is New Mexico's second largest natural arch. A very cool thing about this place is that it is a fee-free area. I'm not sure how they fund it, but there are 3 awesome visitor centers, 1 free, really nice campground (covered picnic tables!) and great signage for trailheads. 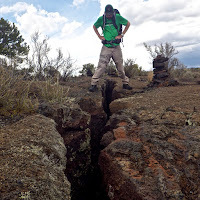 Another cool thing is the Continental Divide Trail goes through this area. 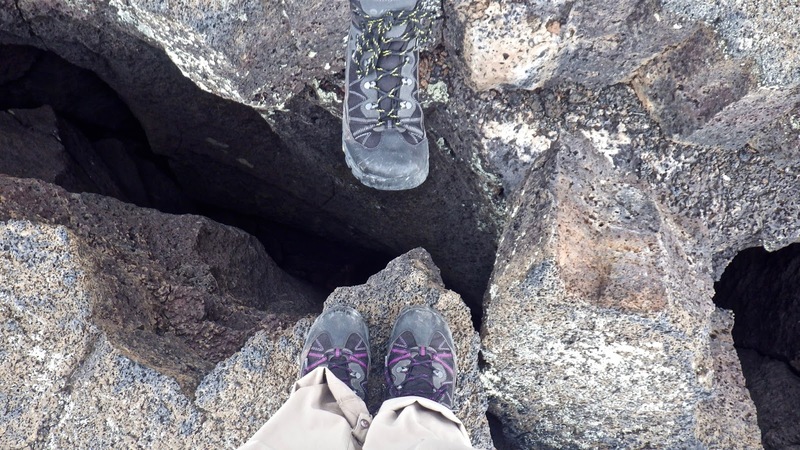 So while we only explored a smidge of the 300,000+ acres, we can look forward to exploring more when we hike the CDT. We were very excited to spot 2 thru hikers and even offered them a ride, but they were purists wanting to walk the last 3 miles into town. 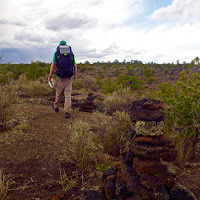 This will be our last NM weekend adventure, as we leave this Thursday. 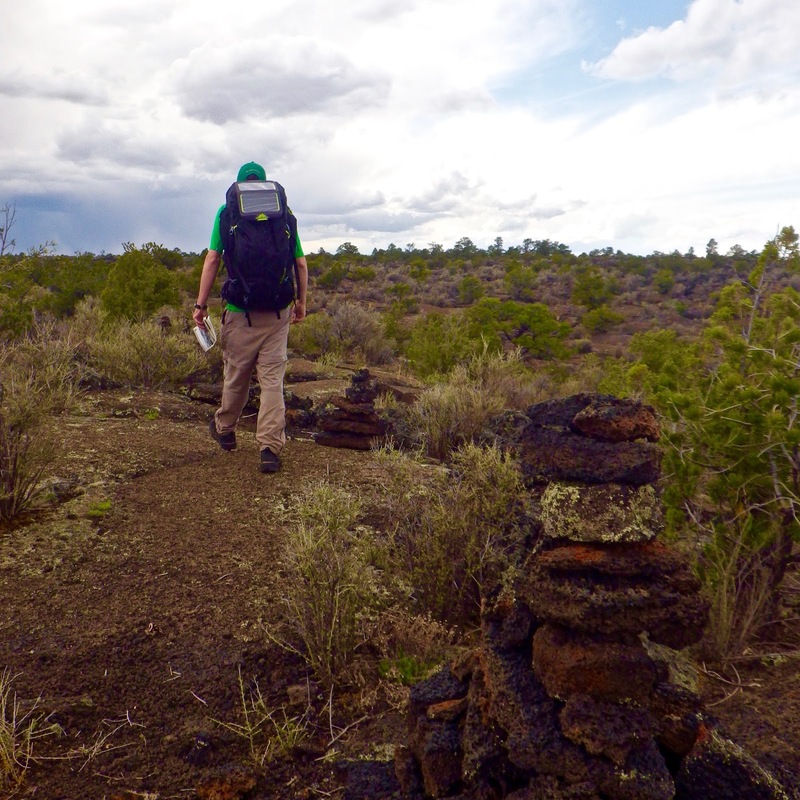 But, we are not done exploring the Land of Enchantment by far.